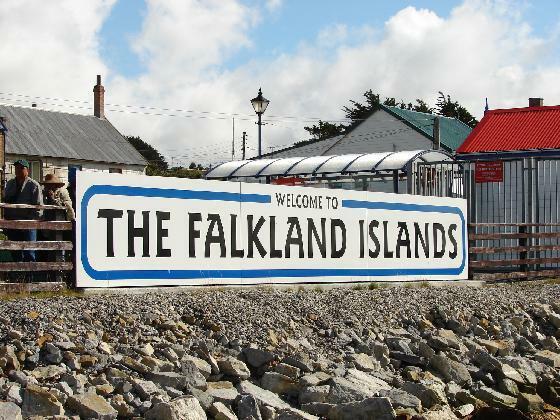 Tensions are rising rapidly over the imminent oil exploration around the Falklands. Yesterday Argentina accused Britain of “whipping up the spectre of war” after the British Prime Minister Gordon Brown, insisted the Falkland Islands were being properly protected to allow oil and gas exploration. “We have made all the preparations necessary to make sure the Falklands Islands are properly protected,” said Mr Brown. But at the centre of the dispute is who has the legal rights to an estimated 60billion barrels of oil. Jorge Argüello, Argentina’s ambassador to the UN, attacked Mr Brown’s remarks as “imprudent at the very least”. Tensions will increase tomorrow when a drilling rig contracted by British companies is expected to arrive in the south Atlantic. The Argentine government has already issued a decree which tightens control over shipping in the area. It has ordered ships travelling between Argentina and the islands to seek special authorisation. Argentina is also threatening to stop the rig from drilling. Already the deep-sea platform has been shadowed by Argentine air force jets. Argentina is also to make its case for sovereignty over the Falkland Islands to other Latin American countries. The country’s foreign minister, Jorge Taiana, will ask other countries in a meeting of the Rio Group in Mexico to back his government’s claim to control the waters to “Las Islas Malvinas”. Jorge Taiana is also heading to New York next Wednesday to lobby Ban Ki-moon, UN secretary-general, to bring Britain to the negotiating table. Britain has had to deny that a naval taskforce has been dispatched because of the recent tensions. They said Royal Navy warships in the region were part of Britain’s routine military deployment. But suddenly this comb could be worth quite of a lot of money. But is it worth going to war over?